If your production environment is dealing with any sensitive stuff like transactions, having it SSL-secured is the minimal amount of security measure that you should take. To do that, you need to purchase a SSL cert. You can purchase it from many places but my favourite is SSLMate because they made the buying process a breeze. Let's say you are not using SSLMate to purchase the SSL cert and the SSL provider asked for a CSR (Certificate Signing Request) file. You will need to create it yourself. You will get the private key file (helloeb.com.key) and CSR file (helloeb.com.csr). Submit the CSR to the SSL provider and they should return two important files to you - Public Key Certificate file and the Certificate Chain file. 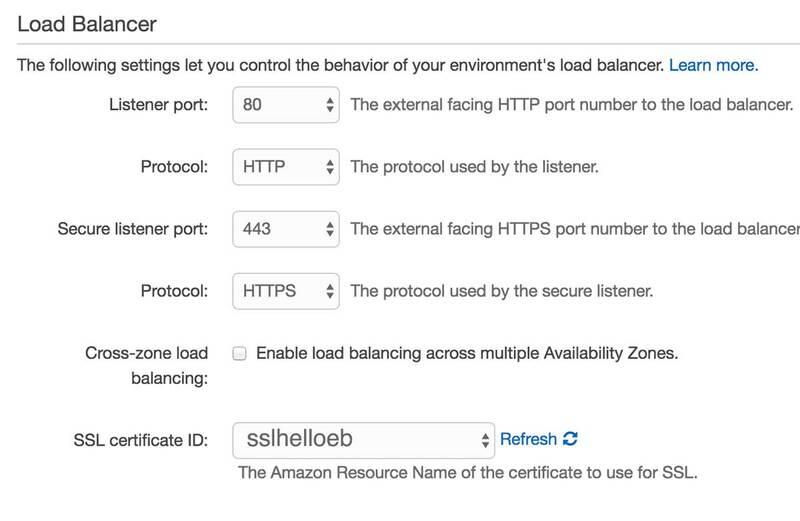 There are two ways to attach a SSL cert to your Elastic Beanstalk environment's load-balancer. Take note: that you must use file:// prefix to locate your files. 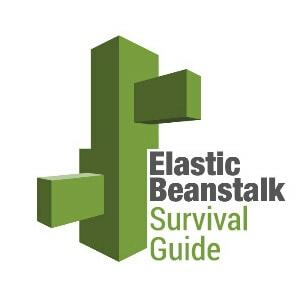 After this is done, go to the Elastic Beanstalk management console, click on Loading Balancing tab and under SSL certificate ID, select the SSL certificate that you have uploaded. In my case, it will be sslhelloeb. So what if you had to attach two SSL cert to one environment? I'm not judging because I ran into the same problem. One load balancer can only take one SSL cert. The gist of the solution will be to create one more load-balancer and point it to the same instances that original load-balancer is pointing to. 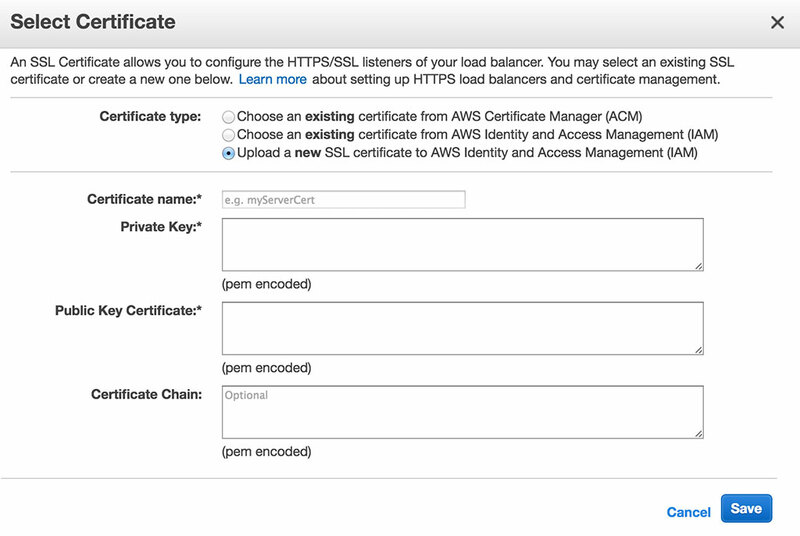 Then attach the second SSL cert to the second load-balancer. 1. Click on 'Services > Compute > EC2 > Load Balancers'. 3. Use the exact same VPC group and security group as the primary load balancer. You can find information under the primary load balancer's Description tab. 5. Add the newly created load balancer to the same auto-scaling group as the primary load balancer and you are in business! We have come to an end of this survival guide series. I hope you had learned something or at least be familiarised with using Elastic Beanstalk. There are still a lot of unexplored terrains in the AWS landscape but that's another time for another series.